British gastronomy has a grand old tradition that has been lost over time. 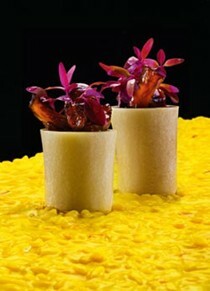 Now our most inventive chef is out to reclaim it. Heston Blumenthal, whose name is synonymous with cutting-edge cuisine, still finds his greatest source of inspiration in the unique and delicious food that our sceptered isle once produced. This has been the secret to his success at world-famous restaurants The Fat Duck and Dinner, where a contrast between old and new, modern and historic, is key. "Historic Heston" charts a quest for identity through the best of British cooking that stretches from medieval to late-Victorian recipes. Start with twenty-eight historic dishes, take them apart, put them together again and what have you got? A sublime twenty-first-century take on delicacies including meat fruit (1500), quaking pudding (1660) and mock turtle soup (1892). 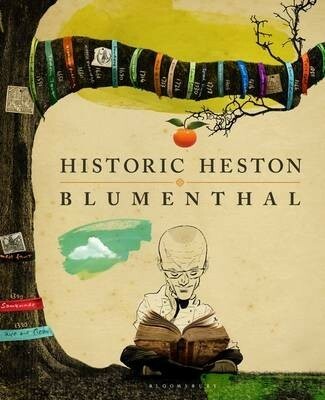 Heston examines the history behind each one's invention and the science that makes it work. He puts these dishes in their social context and follows obscure culinary trails, ferreting out such curious sources as "The Queen-like Closet "from 1672 (which offers an excellent method for drying goose). What it adds up to is an idiosyncratic culinary history of Britain.This glorious book also gives a unique insight into the way that Heston works, with signature dishes from both The Fat Duck and the double Michelin-starred Dinner, which is ranked 7th in the World's 50 Best Restaurants. With a beautiful cover illustrated by the genius that is Dave McKean, his illustrations throughout, and some of the most superb food photography you'll ever see, Historic Heston is a book to treasure. You think you know about British cooking? Think again.